The Pacific building in located at 850 East Ocean Blvd in downtown Long Beach, California. This beach front building is located next to the historic Villa Riviera building and has some of the best ocean view condos on the market. 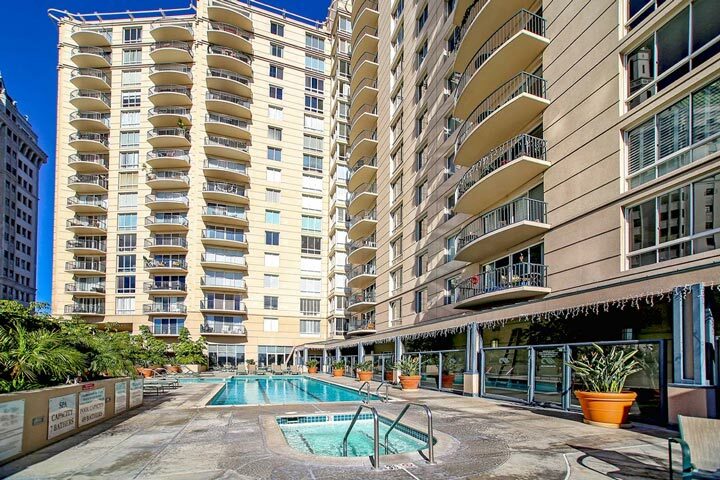 The building was constructed in 1992 and features one to two bedroom condos that range from 881 to 1,788 square feet. 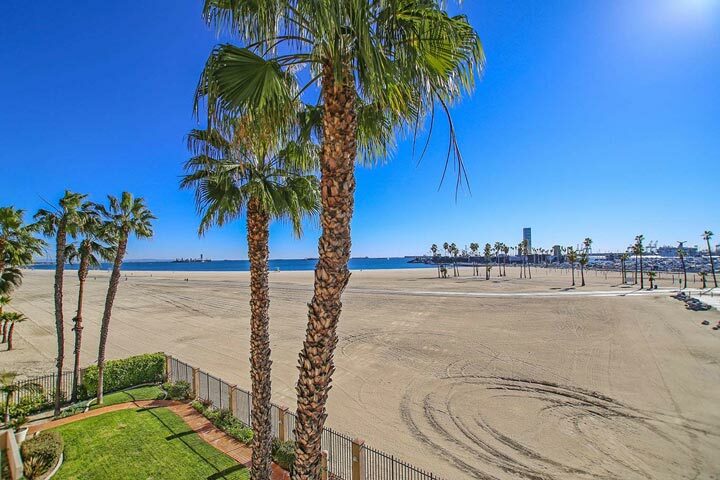 This is considered a prime location on the famous Ocean Blvd near Alamitos Beach. Below are the current condos for sale and for lease in the Pacific Building. Please contact us at 888-990-7111 with questions regarding any of the properties listed here. The building does have a formal association with monthly dues of approximately $7640.00 a month which includes water and trash. Association amenities include a community pool, spa, sauna, barbecue and picnic area, fitness room and on-site security. Pets are allowed in this building with certain restrictions. The complex is located on the sand and does have wonderful ocean and sandy beach views as pictured below. 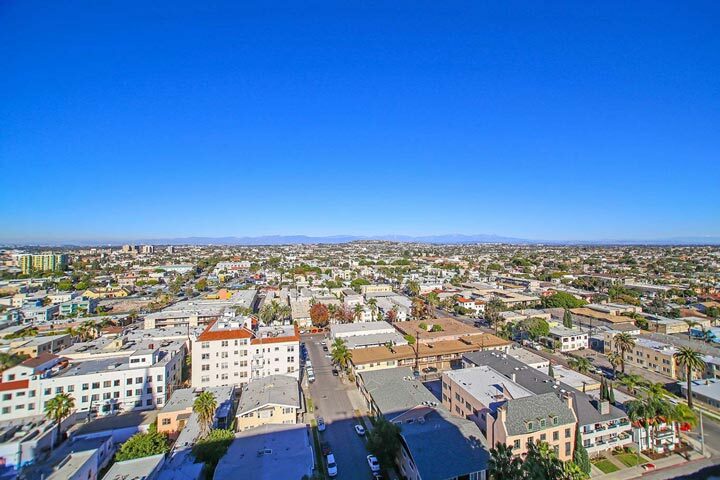 Condos facing away from the ocean also have incredible views of the Long Beach valley as pictured below. Please contact us with any questions and to schedule a showing for you today.